Source, shortlist and predictively match with the best fit candidates, automatically and in real-time, with incredible accuracy. EVA effortlessly automates low level time-consuming tasks, so you can consistently achieve more on high value activities. 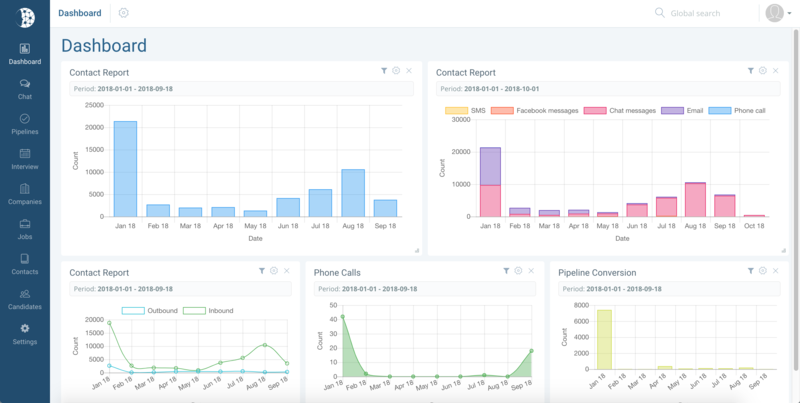 EVA analyses every piece of data within your database, discovering valuable insights and generating real-time actionable reports, that allow you to successfully recruit, every time. 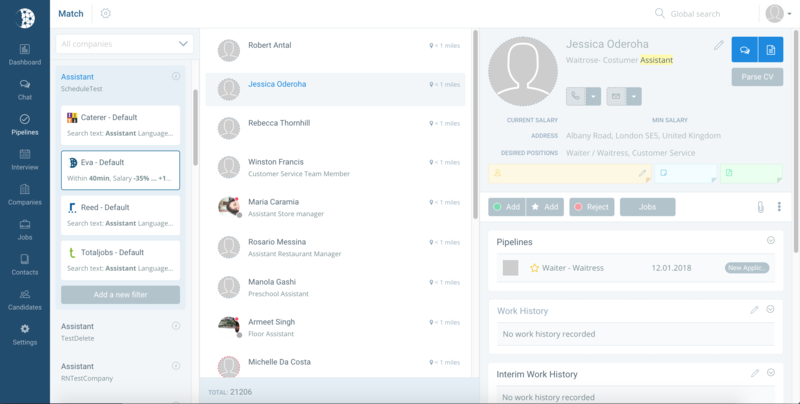 EVA is the only cohesive recruitment solution on the market that is an ATS, CRM and Virtual Assistant, all in one! We combine machine learning , automation of processes and A.I. functionality to build a powerful platform that augments productivity from sourcing to placement. 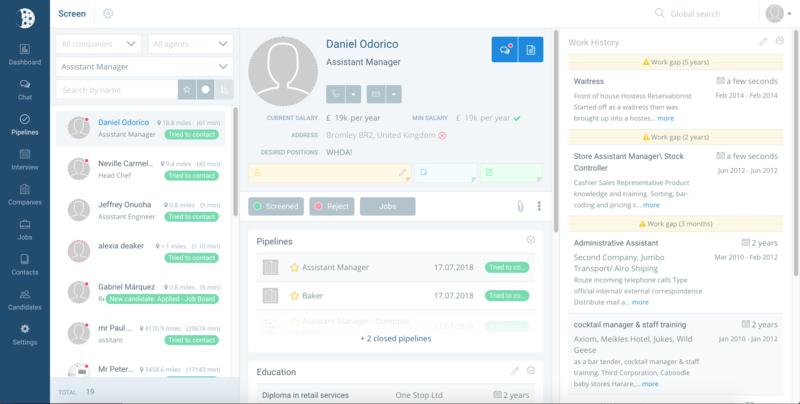 Intelligently source and expand your talent pool, consistently predict quality hires, automate interview scheduling, implement productive processes, engage with candidates via our built-in chatbot, track your KPI’s and secure business growth. 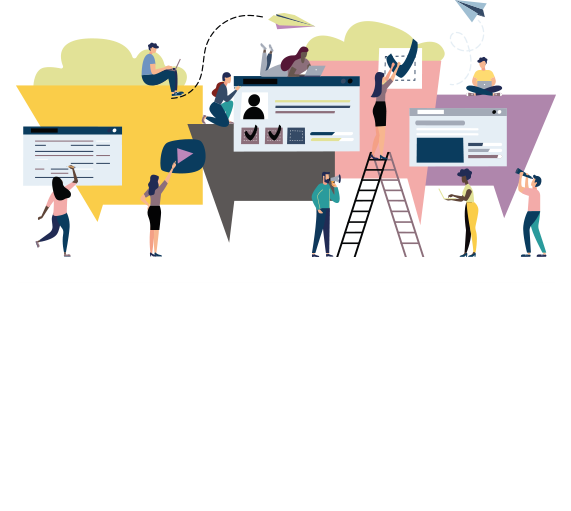 There is no one-size fits solution for recruitment, our team can customise EVA to align with your business goals, pain-points, processes and branding. EVA ingests, retains and utilises data from every decision within your recruitment processes, ensuring specific recruiter knowledge and expertise is sustained within your business. 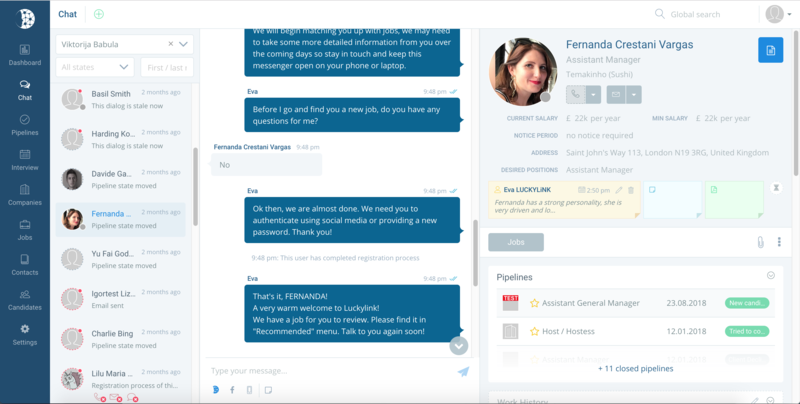 EVABot is the NLP powered chatbot that allows you to foster personalised candidate relationships at scale. Our bot proactively engages with candidates over multiple channels and automatically updates their records in real-time. EVA analyses all the data across your processes, generating actionable reports against your business KPI’s. Customise your reporting to extract board-level, recruiter-driven, client-related or even job-specific insights. EVA’s team is certified in the key technology areas to keep you up to speed with innovation. These certifcations are about security and availability. Security means we’ve got a system that is encrypted, protected and tested. Available allows us to scale our enterprise service without any loss of performance. Pursuing more placements at the same headcount, EVA turbocharges our in-house technology. 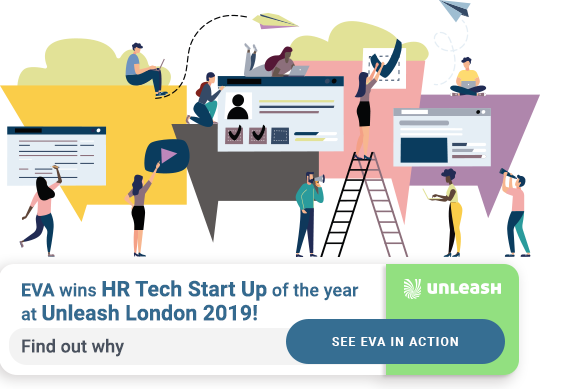 EVA.ai isn’t another tech vendor – they are a trusted partner for our team, their training for our recruiters is intuitive and their solution makes us more competitive and better services our clients.